Articles will be entered with the most recent at the top of the list. In 1960 Hans de Vos came to Spetses with his parents and two brothers.They were among the first Dutch tourists to come to the island. He loved his holidays and would spend hours fishing from the jetty while his parents enjoyed an Ouzo in Stambolis Cafeneon. He met many local Spetsiots then and one in particular, Kariofillis Neofotistos, has remained a firm friend ever since. When he met his future wife, Ineke, he was so happy that she loved Spetses too and they eventualiy built a house with two other friends at Aghia Anarghiri. Fifty seven years later, now retired, they spend most of the year here. Hans is a well known character sitting with an ouzo or a beer, on the Dapia most days. One of the Spetses council members who has known Hans for many years, thought it a good idea to give him honorary citizenship of the island. This came as an enormous surprise to Hans and right up to the day he didn't expect it to be such an emotional event. On Independence day after the parades were over, a ceromony was held at the town hall with many friends present, representatives from the church, the council, the police and a European council member from Poros.The mayor gave a speech and presented Hans with a plaque and a gift bag. Later Hans and many of his friends went to celebrate at Stambolis Cafe. Xylobatis –Yiannis Kalientzides—was born in Dusseldorf in 1973. He studied mechanical engineering at the T.E.I of Central Macedonia and is self-taught in the plastic arts. In 2001 he opened his workshop in Thessaloniki and ever since he has been working as a professional artist. He has participated in 12 solo and 15 group exhibitions in Greece, as well as in the reconstruction and reformation of public spaces such as, the Folklore Museum of Velvedo in Kozani, and the Gerovasileiou museum in Thessaloniki. His works are exhibited in galleries in Paris and are also included private collections in Greece, France, Germany, Great Britain, Russia, U.S.A., and Australia. Love, friendship, diversity, dream, flight and fleeing are some of the themes that characterize Xylobatis' works. By using colors and materials that stand in spacetime like toys, he shapes simple and comprehensible forms with definite limits. But still, even in the happiest of his works, one can detect the ideas of fall, conflict and failure, hidden in the shadows. The primal fear of death hides even behind the brightest of colors. "Ο Ξυλοβάτης -κατά κόσμον Γιάννης Καλιεντζίδης- γεννήθηκε στο Ντύσσελντορφ της Δυτικής Γερμανίας το 1973.Σπούδασε μηχανολόγος στο ΤΕΙ Σερρών και παράλληλα ξεκίνησε ως αυτοδίδακτος να ασχολείται με την ζωγραφική και τις κατασκευές. Το 2001 δημιούργησε το εργαστήριο του στην Θεσσαλονίκη και από τότε ασχολείται επαγγελματικά με την τέχνη. Έχει παρουσιάσει το έργο του σε 12 ατομικές και 15 ομαδικές εκθέσεις στην Ελλάδα ενώ έχει συμμετάσχει στη διαμόρφωση δημοσίων χώρων, όπως το λαογραφικό μουσείο Βελβεντού Κοζάνης και το μουσείο Γεροβασιλείου Θεσσαλονίκης. Εκθέτει σε γκαλερί στο Παρίσι ενώ έργα του υπάρχουν σε ιδιωτικές συλλογές σε Ελλάδα, Γαλλία, Γερμανία, Αγγλία, Ρωσία, ΗΠΑ, Αυστραλία και αλλού. Ο έρωτας, η φιλία, η διαφορετικότητα, το όνειρο, η πτήση και η φυγή είναι μερικά από τα θέματα των έργων του Ξυλοβάτη. Έργα φτιαγμένα με χρώματα και υλικά που στέκονται στον χωροχρόνο σαν παιδικά παιχνίδια και δοσμένα με απλές φόρμες και όρια κατανοητά στον θεατή. Μα ακόμα και στα πιο χαρούμενα από αυτά, είναι καλά κρυμμένες στις σκιές, οι ιδέες της πτώσης, της ρήξης, της αποτυχίας. Ο αρχέγονος φόβος του θανάτου κρύβεται πίσω ακόμα και από τα πιο φωτεινά χρώματα. The Tweed Run will take place for a second time in Spetses, on 28th and 29th March. The first one last year was a great success and this second one will no doubt be even more popular. Starting in London, six years ago in 2009 it has become a tried and tested event in many countries around the world. Antique (and new!) bicycles and elegant attire will be the order of the day. With breaks for English tea and pic-nics, best bicycle & best costume awards and various jazz music events throughout the day it can't fail to be a great event! A wonderfully relaxed atmosphere harping back to another era will prevail, all on our beautiful little island. Organised by the Poseidonion Hotel and supported by the Hellenic Bicycle Museum, it would be a shame to miss it! 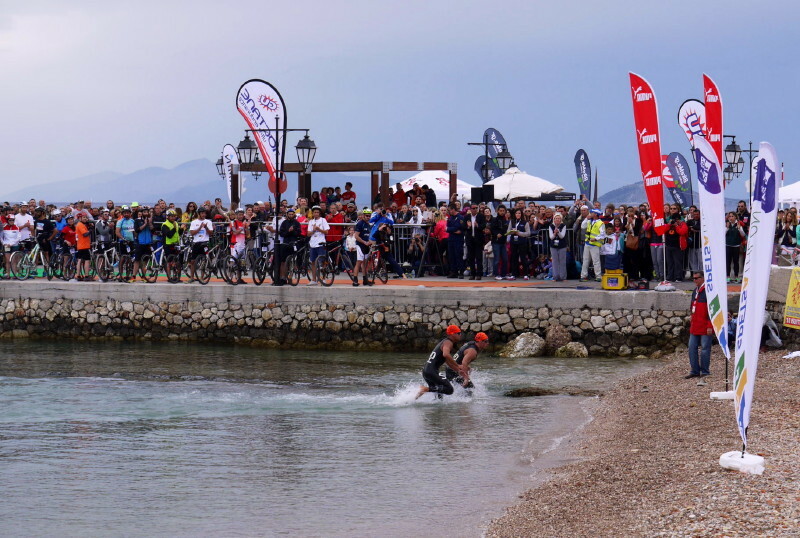 Spetsathlon: The 3rd traithlon event in Spetses 24-26 April 2015 promises to be another great event! A great mix of triathlon events with varying distances will be available to participate in over the weekend of 24 April and 25 April and registration is open until 24 April. There will be more than 400 triathletes and 250 volunteers helping with the event, from a total of 17 different countries. With more than 1,500 visitors, the Spetsathlon has now established itself as one of the most popular sporting events in Greece. Music & Art evening at the Akroporo Art Gallery in the Old Port. On piano Bernadette Delahaye. Exhibitors: Eleni Alifarmaki , Katerina A. Kardasis, Theodora Kriemadi, Theodoros Boufis, Evangelia Bratopoulou. 18.00 High Vespers at the Holy Church of the Panagia Armata, led by his Most Reverend the Archbishop of Hydra, Spetses, Ermionida, Troizinias and Aegina. 09.30 Assembly of the dignitaries at the historical site of the Armata. 10: 00 Doxology at the Holy Church Panagia Armata. -Laying of wreaths at the monument of Kosmas Barbatsis. 21.00 “A Stroll in Traditional Music” with the orchestra EPTASIMO . Also taking part are The “GLENTISTADES” (the Revellers) of Messotopiton, Lesvos, and the Dance Society of the Municipality of Kranidi. 21.30 Musical event with “FUEGO ESPAÑOL” – arias, romances, and serenades from Spain. 19.30 Performance by the National Opera of Greece (La Boheme by Puccini), at the Kapodistriaki Hall. Offered by the Foundation of Anargyreio and Korgialeneio School and sponsored by Athanasios and Marinas Martinou. 19.00 Reception for the dignitaries at the Town Hall. Re-enactment of THE HISTORIC NAVAL BATTLE OF SPETSES. Commentary written by Mr. Pavlos Paraskevaides (philologist) and narrated by Mr. Vasileios Bakiras (philologist). 10.30 Doxology at the Cathedral of St. Nicholas followed by laying of wreaths. 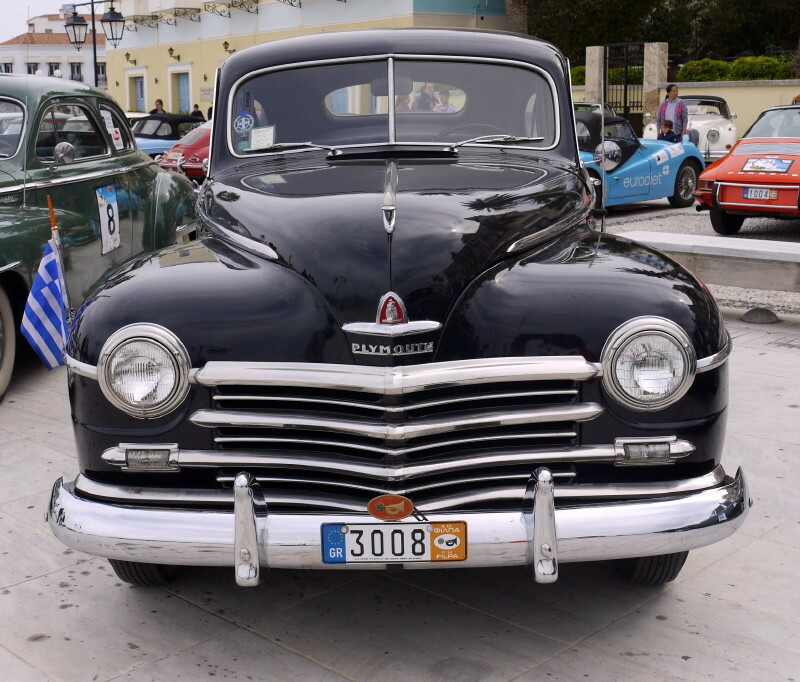 All events will take place at the Poseidonion Square unless otherwise stated. The 2014 Saronic Chamber Music Festival will open on the island of Spetses at the Poseidonion Grand Hotel. From the 4th until the 10th of August the ensemble will travel from the island of Spetses to Hydra, Poros and finally to Galatas, performing a selection of chamber music works ranging from the baroque to the modern era. This year the festival is made possible by the kind support of the Embassy of the Federal Republic of Germany. At the heart of the programme are two masterpieces of the romantic period: the Piano Quintet Op.81 by Antonin Dvořák and the String Sextet Op.18 in B flat by Johannes Brahms. The programme will also include works by J. S. Bach, Felix Mendelssohn, Arnold Schoenberg and Iannis Xenakis. The Saronic Chamber Music Festival is a unique artistic meeting where a group of passionate musicians and friends come together to express and explore the music they love most in this inspiring landscape. Because of the generous support of it’s sponsors and all the musicians who donate their time, this festival is able to bring the finest musicians to the Saronic region at the lowest possible price to the public (tickets €10, children free, last concert (10/8) free). The festival directors are passionate about the idea of stimulating the local economy through culture and making these concerts accessible to a diverse audience. The Leondari Ensemble is comprised of world-class musicians from Europe, North America and Australia who perform regularly with many of the world’s most renowned ensembles including the London Symphony Orchestra, the Berlin Philharmonic, ARC Ensemble, the English Chamber Orchestra and the Vienna Piano Trio. We are joined this year by a special guest artist - Canadian pedagogue, founding member of the Zebra Sting Trio and ex-principal violist of the Royal Concertgebouw Orchestra, Steven Dann. The Leondari Ensemble: Benjamin Bowman, one of Canada’s most versatile musicians, is a member of the critically acclaimed chamber music group, the ARC Ensemble, and has spent this season as guest concertmaster with the American Ballet Theatre (NYC); Bogdan Božović is the violinist of the Vienna Piano Τrio; James Barralet has recently released a recording of Brahms’ music for cello and piano and is the artistic director of the Whittington Chamber Music Festival (UK); Rebekka Markowski is a member of the Lucerne Festival Orchestra and works often in the cello section of the Berlin Philharmonic Orchestra; award-winning recorded German pianist, Caspar Frantz, is a director of Berlin's contemporary music festival 'Zeitkunst' and is artistic advisor to the Saronic Chamber Music Festival. The Saronic Chamber Music Festival is directed by Greek violinist Jannis Agraniotis and Australian violist Francis Kefford. Jannis is a regular performer with the Greek National Opera, he has appeared in all of the major Greek concert halls and as a recitalist and chamber musician in Germany. Francis is a frequent performer with the UK’s leading orchestras including the London Symphony Orchestra, the Royal Opera House Orchestra, the Aurora Orchestra and the English Chamber Orchestra. We are delighted to welcome as guests: Greek percussionist Alexandros Giovanos, a recent graduate of the elite Berlin conservatoire ‘Hanns Eisler’ and first prize winner of the Young Soloists National Percussion Competition, and the members of the string trio Grisart, an exciting young trio based in Berlin specializing in contemporary music and committed to the development of the repertoire for this ensemble. The 4th Spetses Classic Yacht Race had a record number of participants this June, with 72 vessels in total, racing in four different categories. (Details below)This now makes it the biggest Classic Yacht Race in Greece! It was organised by the Yacht Club of Greece with the help of the Poseidonion Grand Hotel who whilst celebrating their centenary year, took responsibilty as the Hospitality Organiser. * Classic Boats (with three subcategories depending on the construction date: Vintage ( – 1947), Classic (1948 – 1974), Spirit of Tradition (1976 – ). * Dragon (first time this year for this category). A collector's edition catalogue was provided by the organising committee this year, which gave the history of all the vessels and provided manyxtra interesting facts. Nontas Labadarios, President of the SCYR Organising Committee and Vice-President of the Yacht Club of Greece, said: “As we expected, this year’s event was very successful, something guaranteed by the Yacht Club’s years of experience and human resources. The international institution that is the SCYR has been established as the greatest Classic Yacht Race in Greece and one if the most important in the Mediterranean”. Well done to everyone involved and well done Spetses! Skippers' Meeting at "Bouboulina's Museum"
skippers plus one member of the crew are allowed. Daily Prizes award ceremony at "Adore Brachera Spetses"
During registration participants will be given an accreditation bracelet which should be worn throughout the four-day event for free access to all parallel events and special privileges to partner companies. 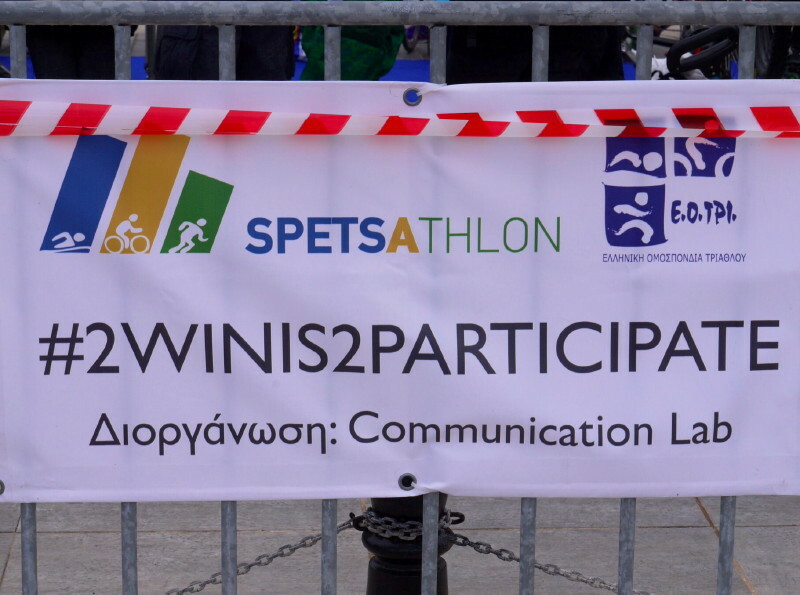 The 2nd SPETSATHLON on Saturday 26 April and Sunday 27 April 2014 was a great success! The 2014 Spetsathlon was a resounding success and a record number of athletes participated from all over Greece as well as athletes from 17 different countries. There were approximately 400 triathletes and and for the bike race, another 200 cyclists. There were 250 volunteers and more than 1,500 spectators. We should also mention that as well as these 250 volunteers from the Municipality of Spetses and the local community, the Spetses Trader's Association also lent a hand by offering special prices for all participants in cafes, bars and hotels. Organisation for the event was divided by two committees - the Communication Lab (which also organises the Spetses mini Marathon in October - this year taking place on 10-12) and the Hellenic Triathlon Federation (HTF) supervising the racing and providing three internationally certified judges. Dr. Marina Coutarelli, President of the Organising Committee, presided over the whole event. 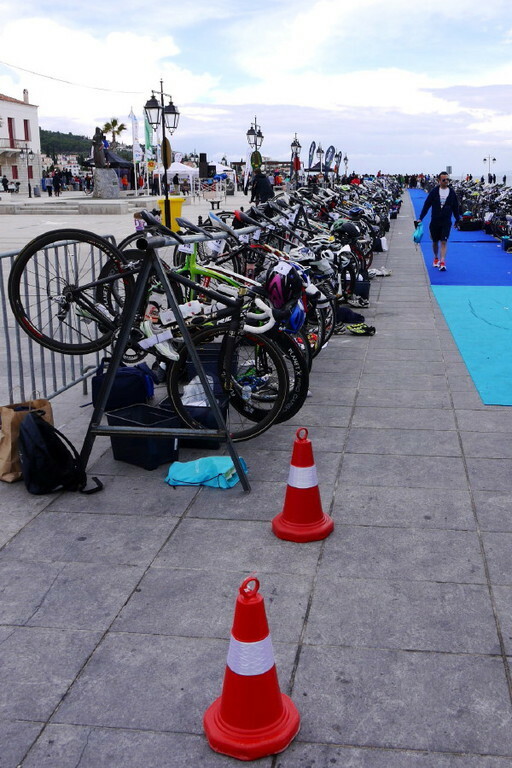 Athletes rode around the island on the 25km bike race on the Saturday (26/4) and Sunday's triathlon (27/4) had two races: the Spetses Triathlon Sprint (750m swim, 25km bike race & 5km run) and the Spetses Triathlon Endurance (1500m swim, 50km bike race & 10km run). The winners of the 2nd Spetsathlon Sprint were Grigoris Souvatzoglou for the men, with a time of 01:13:40, and Denise Dimakis for the women, with a time of 01:27:20. First in the relay Sprint race were the Stavropoulos-Kaldelis-Giannoulis team for the men and the Bolosi-Kouskourida-Sakellari team for the women. First of the mixed teams was Team PUMA with Pelagia Karanikola – Michalis Tekertalis -Giorgos Orfanos. 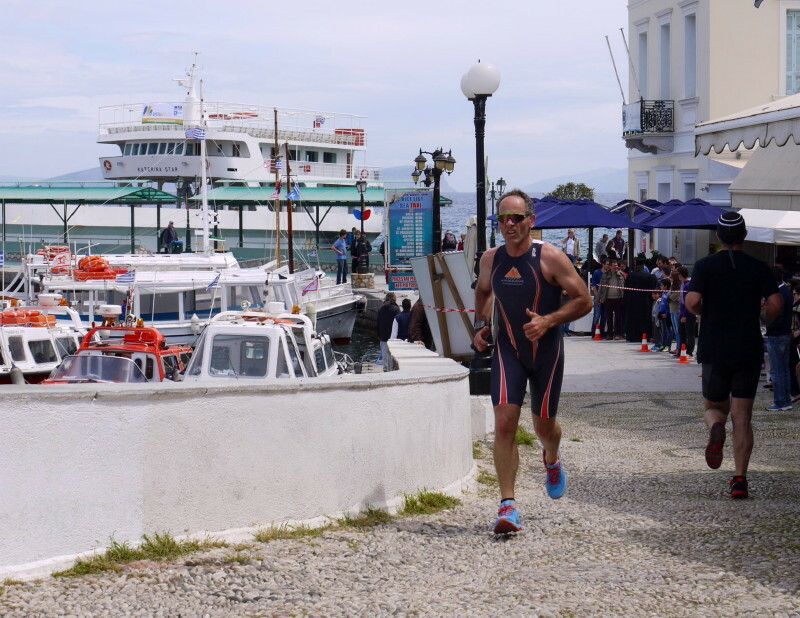 The winners of the 2nd Spetses Triathlon Endurance were Grigoris Skoularikis for the men, with a time of 02:35:44 and Giota Charoupi for the women, with a total time of 02:59:09. First in the relay Endurance race for the men was the Holmes Place team with Nikos Simantiras-Michalis Papasavvas-Nikos Dimitriadis while Alexiadis and Efkarpidou were first in the mixed teams. The first Spetsiot was Giorgos Stanathiotis with a time of 47:39. Well done Giorgos! Winner of the Bike Race (26/4) around the island, which was opened by PanHellenic Cycling Champion Giannis Tamouridis, was Grigoris Souvatzoglou with a total time of 42:18 and the first Spetsiot was Giorgos Stanathiotis (47:39). Eleni Klapanara was the first of the women with a total time of 49:52. The Spetsathlon is now officially one of the most important sporting events in Greece and was covered in full on the national news. That certainly puts Spetses on the map yet again! N.B Don't foget the mini marathon in October! This weekend: Saturday 26th and Sunday 27th April. 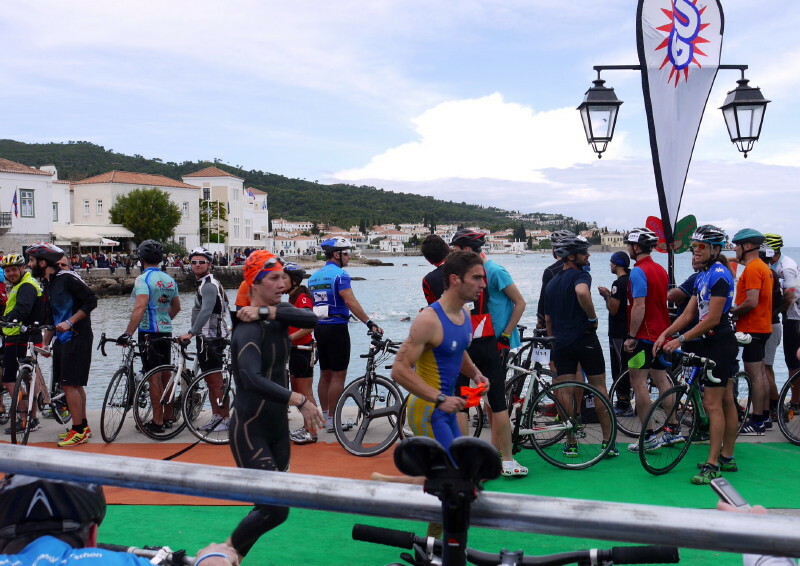 The 'Spetsathlon 2014', follows on from the first successful Spetses Triathlon last year and by all accounts, it sounds like it's going to be even more successful! The race is co-organized by the Spetsathlon Committee and the HTF (Hellenic Triathlon Federation), who, with its proven international expertise will provide the basis for an event of high standards with judges certified by the European Federation. GOOD LUCK TO ALL 2014 COMPETITORS! TO THOSE SUPPORTING - ENJOY! 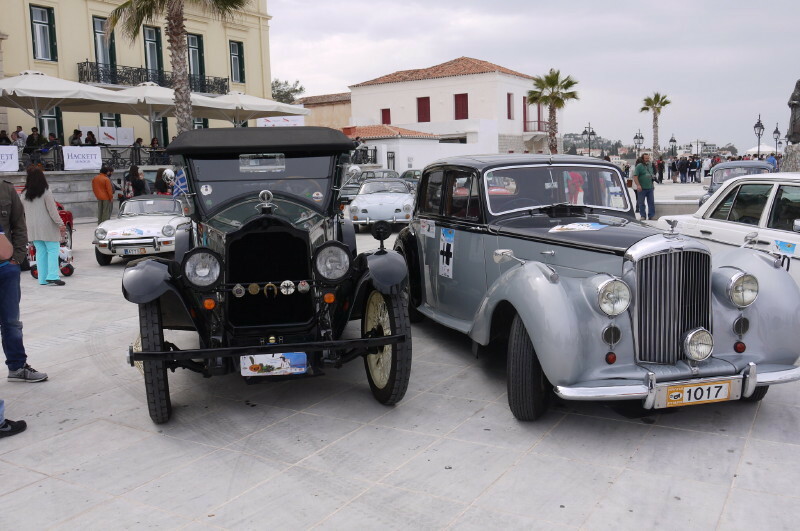 FILPA (translated as 'Friends of Old Cars') were responsible for organising the first vintage car rally on Spetses in front of the Poseidonion Hotel. 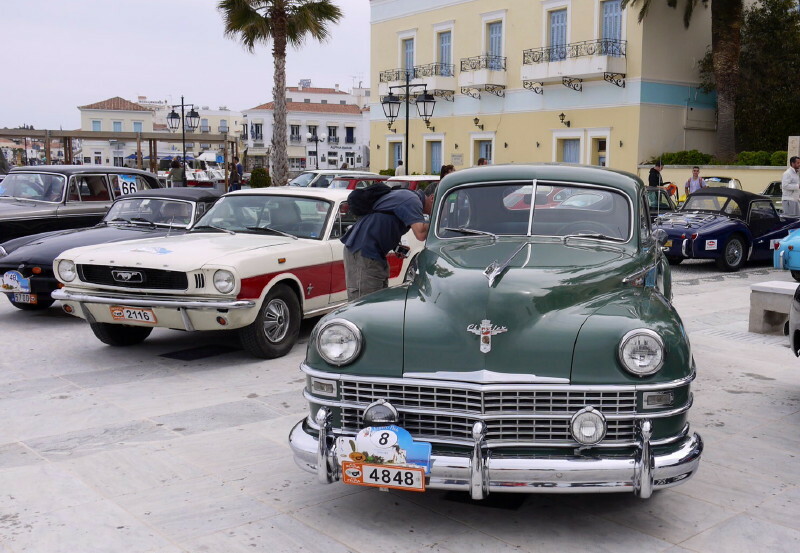 This 'Spring Rally FILPA', with cars dated from between 35 - 85 years old, took place on the 5-6 April 2014 and approximately 60 vintage cars started out at Corinth. They travelled 150km down through the Peloponnese to Kosta and then travellling on to the island by ferry boat. 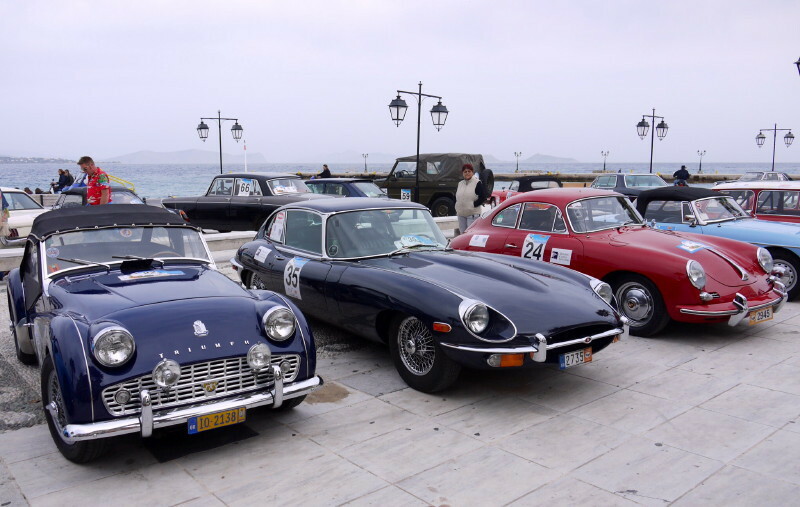 On arrival in Spetses they parked outside the Poseidonion Hotel, in Poseidonion Square overnight. Locals and visitors were given plenty of opportunity to walk around and gaze at all the fantastic cars and photogrpah them all. 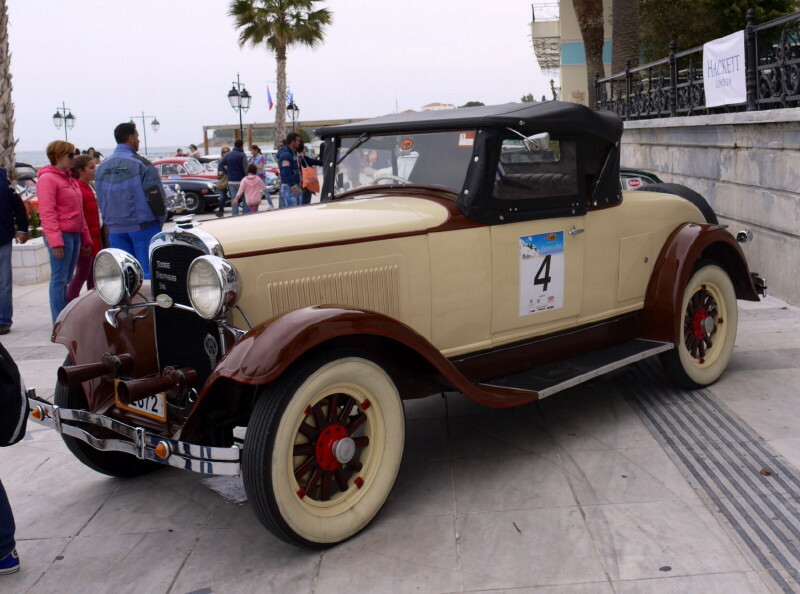 On the Sunday morning the cars set off on a 25km race around the island and the winners were presented with prizes on the steps of the Poseidonion! Constant rain all day and all night on Wednesday 13 November, resulted in chaos on the streets of Spetses the following morning. Spetsiots woke up to find that thick mud had swept through the roads in town and that many local businesses had faced catastrophe. Many old walls and buildings were destroyed in parts and even the Ayios Mamas bridge had taken a hit. The small beaches around town were strewn with rubbish and mud and there were great cracks in some old pathways and roads. Now a major clean up campaign is under way with locals clearing, sweeping and cleaning as much as possible. The mayor and local council have been assessing the river beds running through town and plans are in progress for permanent all year access, to enable them to be kept completely clear at all times. 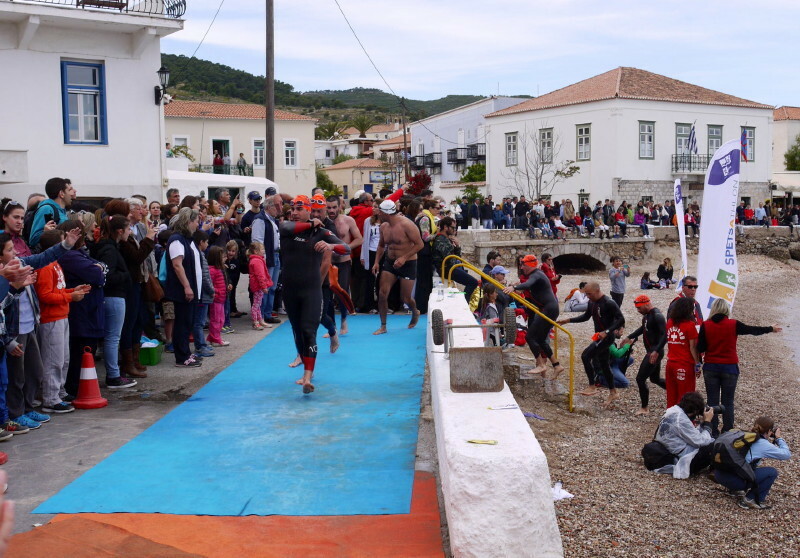 On Saturday 12 October, swimmers had the unique chance to participate in the re-enactment of the swimming competition held by the students of the Anargyrios and Korgialenios School of Spetses. 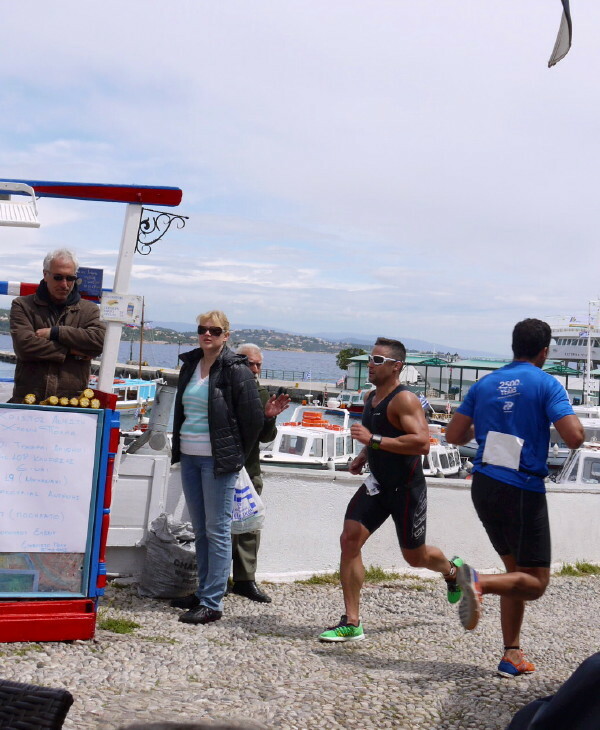 Two races took place, one of 2.5 km Kosta to Spetses and the other, 5 km Spetses-Kosta-Spetses. On Sunday 13 October, runners were able to choose between the mini-marathon of 5 km through the Dapia and the old harbour and a race of 25 km for more experienced runners, round the island. 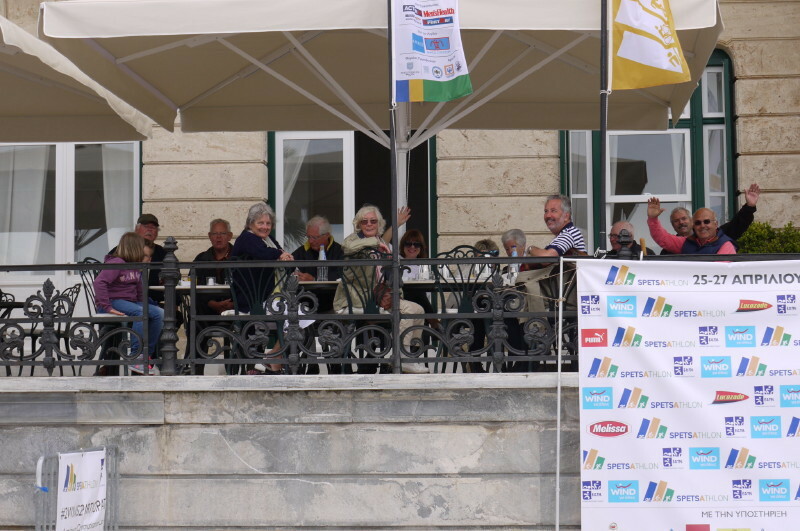 This is the 3rd year that these races have been hosted in Spetses and has now taken off as a very well organised yearly event, attracting hundreds from Greece and around the world. 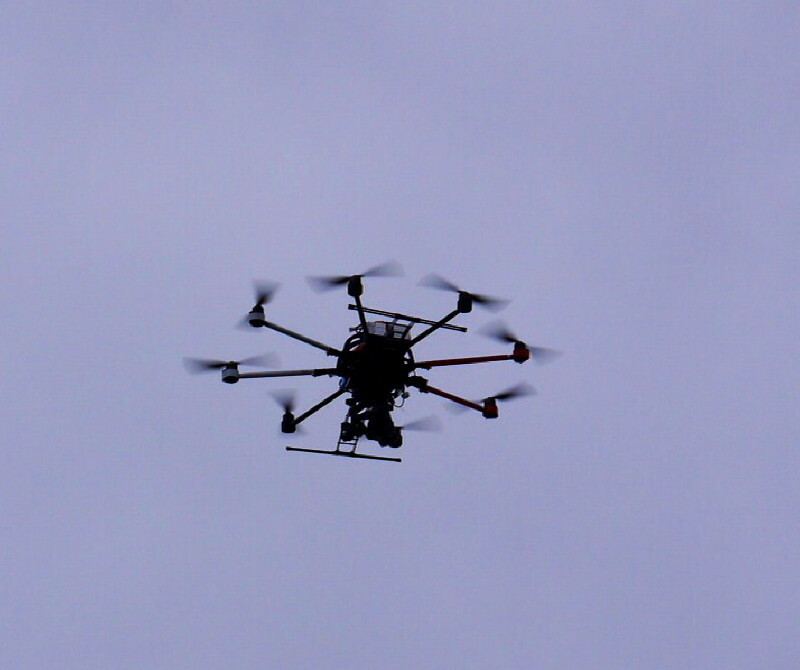 20.00 'Hyper Metron/For measures/'The Throne of Poseidon' Music, video and live performances. Every afternoon until 05 September. 21.30 Shadow Theatre - Children's Play 'Karagiozis'. 20.30 'Latin' Modern Dances from the Spetses Dance Group. 21.30 'From Greece With Love' Songs of well Loved Composers. 20.30 Folk Dances from Romania. 20.00 'Lykeion Ellinidon' Lyceum Club of Greek Women Songs and Dances from all over Greece. 21.30 Concert with Thanos Mikroutsikos and Dimitris Basis. 18.00 Grand Vespers at Panagia Armata (Armata church, Old Harbour). 19.00 Official Reception at the Town Hall of Spetses. 20.15 A Musical Journey played by the Band of the Hellenic Navy. 21.00 Folk Dances by the Students of the Spetses Schools. Teaching by Barbara Bratopoulou. * RE-ENACTMENT OF THE NAVAL BATTLE OF SPETSES 08 SEPTEMBER 1822. 10.30 Praising God in word and hymn at Panagia Armata church. Laying of Wreaths at the Kosmas Barbatsis Monument. 12.00 Dropping of Wreaths in Sea by Hellenic Air Force in the Dapia Harbour. 20.00 Folk Dances by the Dance Group 'Makistos'. 20.45 Folk dances from Georgia, sponsored by UNESCO. 21.30 'Songs We Have Loved' Well Known Songs of Greek Composers. All events are sponsored by the Traders and Craftsmen Associations and Friends of the Island of Spetses. This was a regatta for classic yachts and they sailed backwards and forwards across the Peloponnese Channel - otherwise known as the Kosta strait. Many boats arrived from all over Greece and Aegean Classic Schooners (known as Caiques) raced alongside the classic yachts. There were some island participants too, although not as many as hoped, as the weekend was very windy. However, despite not perfect conditions, it was a magnificent event and has been put on the annual Spetses calendar. October 2011's event was a precursor - a little taster of what's in store for the coming years! It was organised in honour of the Spetsiot seafarers, who fought in the 1821 Greek Revolution. 2012 was also a great success, with more than 50 participants. Some of the most beautiful classic Greek boats and Aegean Classic Schooners. The Sea Scouts also took part on their wonderful Lateens, with their triangular sails set on long yards mounted to their masts. Spectators applauded warmly and 2013 looks set to be another successful event. Spetses Mini Marathon - another first of its kind in 2011, took place on Sunday 16 October at 11.00. There were two routes, with different distances, the first, the very mini marathon - 5km and the second - 26km. 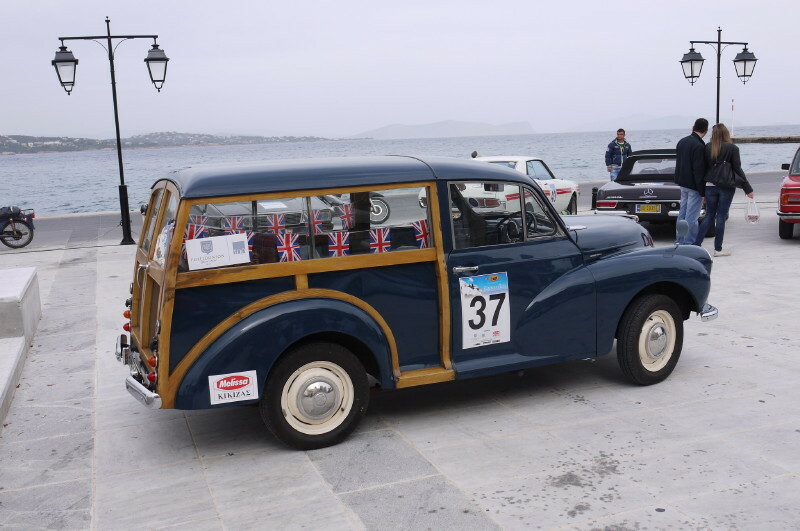 The first race took in some of the famous Spetses landmarks, through the town and the second race was round the island road. 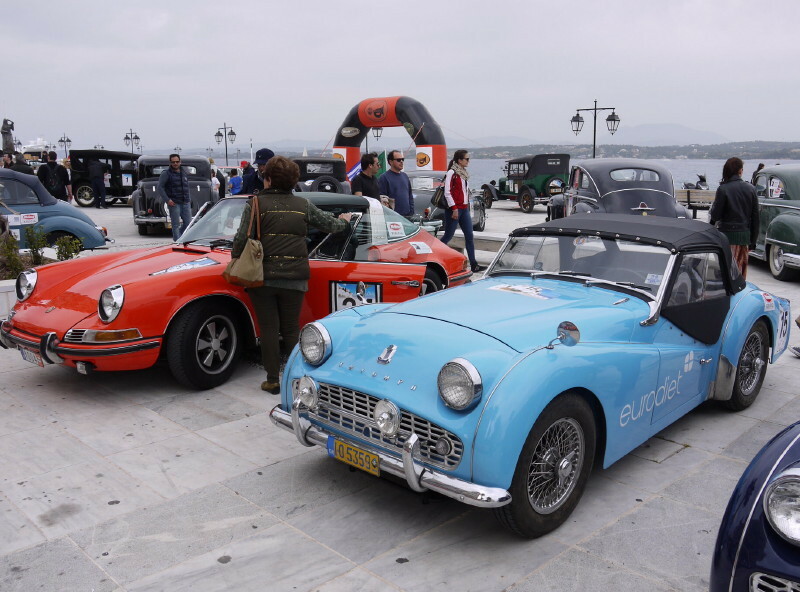 Both races started and finished in front of the Poseidonion Hotel. The main objective of this 'mini marathon' (apart from the fun of running and of course, the watching!) is to establish it as an ongoing athletic institution, similar to the 'St Tropez Classic' and the Marathon 'Alpes-Maritimes' in France. The 2012 event in October, built on that first year's success and there were many more participants, including locals for the 5km race. It was a very professional affair with lots of corporate relays and people travelling from all over Europe to participate. There were numerous sponsors and it looks like it's set to get bigger and better every year from now on! 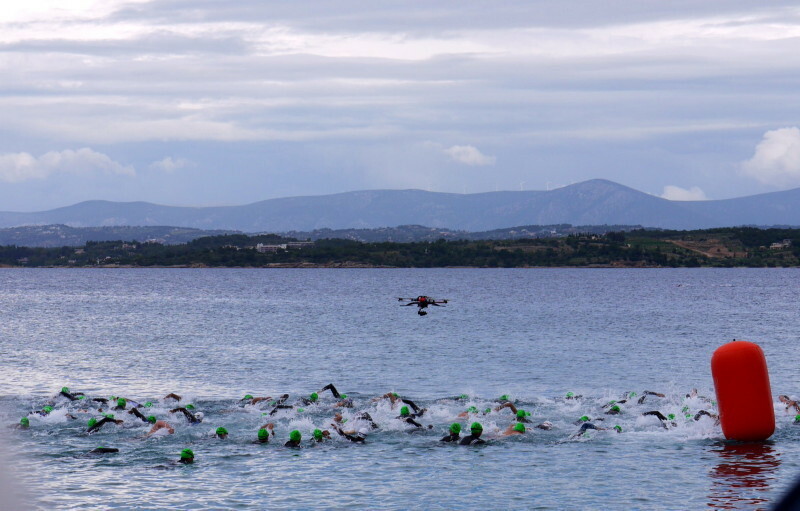 The following day - another new event - was the Spetses to Kosta swim (and back!) which attracted some big swimmers from all over Greece. The weather was good and it was another good day for participants and spectators alike. There has also been a triathlon event since and it looks like the island's climate and hospitality is going to be a good backdrop for these running and swimming events. Have you heard the news? Private businesses are feeling the need to promote their country, as Greece hits hard times after newly imposed austerity measures. This is wonderful news - we congratulate the initiative of Greek fashion manufacturer and retailer, Folli-Follie. BRAVO FOLLI-FOLLIE!! Let's hope that more private businesses who are in a position to help, begin to do so in these very difficult times. Perhaps we'll then be hearing all the good things we should be hearing about Greece in the news, from now on. 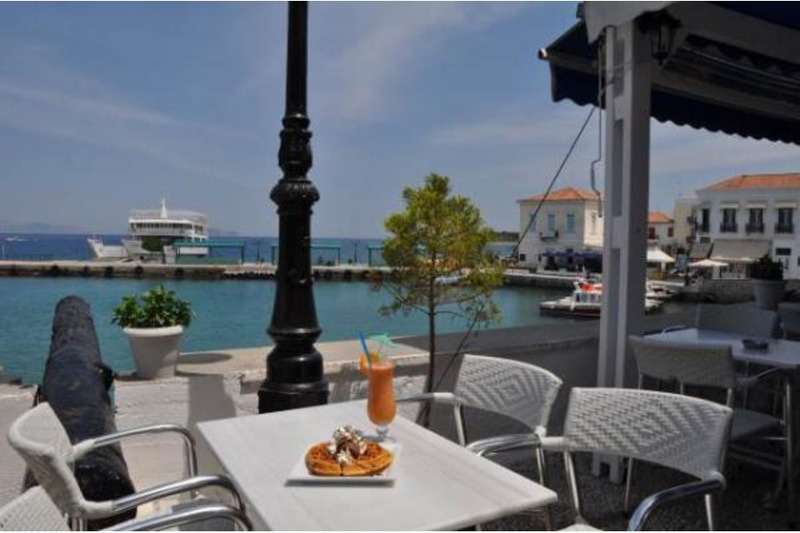 "I ALWAYS KNEW SPETSES WAS THE MOST WONDERFUL PLACE AND NOW EVERYONE IN THE WORLD WILL KNOW THE SAME..."